The Flashlight application is the most complete, intuitive, usefull and simple to use. 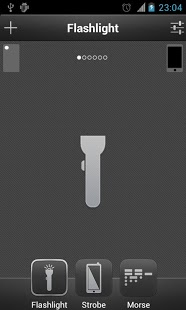 It allows you to convert your phone/tablet into a handy flashlight either using screen or camera LED/flash as a torch (camera LED is not present in most devices). 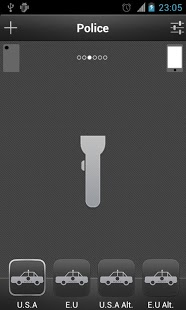 This is the application that should be on your phone/tablet and should be used everytime you need a flashlight. It can be used for instance as a night light, as reading light or even as an emergency light. 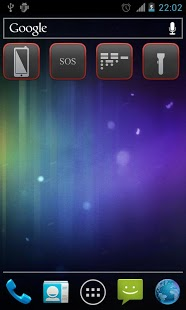 – Shake mode can only the activated on unlock screen and is only available when using camera LED/flash. – Compatible with Ice Cream Sandwich (Android 4.0) and Jelly Bean (Android 4.1).